A może jesteśmy z Marsa? ... что с учетом орбиты, на которой летал аппарат (высота – 200 км), приблизительно через 1000 дней зонд упадет на лунную поверхность. Конечно, это произойдет в том случае, если аппарат еще летает над Луной. Не исключено, что потеря связи с ним вызвана попаданием метеорита. 300 years ago, large meteorite "airborne" Quanzhou Xia Island? And maybe we're from Mars? New Fall Reported in Russia!??? On Kuban the meteorite has fallen. "In suburb of Krasnodar the meteorite has fallen. The press-service of administration of city today has informed on it. According to the message, at length the meteorite reaches 21 sm and has characteristic оплавленность which arises during its passage through an atmosphere. It is informed, that the meteorite has fallen to the grounds of gardening company " Caucasus ". In radius полуметра from a place of falling have burnt out all plants. As chairman of the Kuban astronomical club Alexander Ivanov has explained agency, falling of a meteorite has occured on July, 21-22st. " Now the meteorite is at the owners who have found it of a site, and its fragments are directed to Committee on meteorites of the Russian academy of sciences ", - it has specified. After research the chemical compound and type of a meteorite will be established. " However, by that not iron, but stone, it is possible to assume this meteorite that it concerns meteoric stream Персеид through which annually there passes the Earth ", - Alexander Ivanov has told. It also has noted, that usually the academy of sciences redeems samples of meteorites at those who has found them, for the collection." "In Adygea the inhabitant of settlement Chetuk has gone on a kitchen garden for морковкой, and has found a meteorite. Scientists have confirmed, that the black stone has really arrived from space. " Has seen on a bed воронку, and in its center - ashes. Has dug a shovel and has turned out black as смоль, a stone ", - has told Бэла Аташи. Weight of a stone..."
"The Catalogue of Minerals is in thousand times less, than it was supposed at theoretical modelling formation of a meteorite. Probably, it speaks about that, as formation of planets at early steps of a life of Solar system occured not at collision large (some kilometers in diameter), and rather small..."
Факт космического происхождения камня подтвердили ученые местного университета. По сложившейся научной традиции метеорит получит название по месту его находки, однако женщина настаивает, чтобы его назвали Борщом, поскольку именно приготовление этого блюда было поводом для находки метеорита. 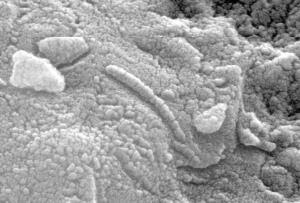 "ГАЗЕТА.GZT.ru - ‎2009年8月21 Fact of a space origin of a stone was confirmed with scientists of local university. By the developed scientific tradition the meteorite will receive the name in a place of its find, however the woman insists, that it have named the Borshch as preparation of this dish was an occasion for a find of a meteorite..."
"Пресс-Лайн.ru - During visit in Эвенкию the head of the government of Krasnoyarsk region Эдхам Акбулатов has shown interest to riddles of the Tungus meteorite. Prime-minister has visited in Ванаваре where has visited at the memorable sign, the falling of a heavenly body devoted to the 100 anniversary. As the press-service of administration Evenkii informs..."
"Interfax Russia found in Adygea - ‎2009年8月19 ¿¡ÔÑÓõá¬ß-SOUTH - the Kilogram meteorite which was found on the country site by inhabitant Adygejska (Republic Adygea), represents serious interest for a science, the employee of an astrophysical observatory of the Kuban state university Alexander Ivanov considers. " 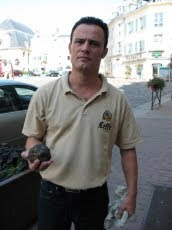 At present we on 90 %..."
"Мембрана.ру - ‎2009年8月4 Meteorite with a diameter of 60 centimeters and height has found out 30 sm and surveyed ровер Opportunity on the plain covered by stones in size with a fist. A find made near to a 800-meter crater Victoria, approximately twice more than any other meteorite among that scientists could be seen on..."
Мембрана.ру - ‎2009年8月12 Using original laboratory technics, Thomas Arens (Thomas Ahrens) from Калифорнойского an institute of technology (California Institute of Technology) and its colleagues from of some other American institutes have received a mineral which in the nature meets only in meteorites and in deep layers..."
Несмотря на эти исключительные по масштабу и характеру явления, сразу не были предприняты ни поиски места падения метеорита, ни всестороннее изучение этого загадочного явления. Ежедневно с 11:00 до 19:00. Выходной - понедельник. Последняя среда месяца - санитарный день.
" The Siberian news agency - ‎2009年8月28 Despite of these exclusive on scale and character of the phenomenon, at once have not been undertaken neither searches of a place of falling of a meteorite, nor all-round studying of this puzzle. Daily from 11:00 till . The day off - Monday. Last Wednesday month - sanitary day..."
In space planets-suicides of the Message fly.
" Ru - ‎2009年8月27 Similar destiny expects the satellite of Floodlight Калипсо. It will blow up, and its fragments обдадут the Earth a volley of meteorites. "Planet-suicide", " a fatal tango " are citations not from a yellow press. The leading scientific magazine of the world "Nature" has published the report of the international group of astronomers on Thursday...."
"The newspaper Republic Tatarstan - ‎2009年8月26 Apparently, the meteorite flied with speed of 2000-3000 meters to a second, there were a surface of a planet under a corner approximately 75-85 degrees to horizon and, not having reached nearly, has blown up. The given fact specify character of transformation of an earth's crust and distribution импактидов...."
"The Stavropol truth - ‎2009年8月27 Name Stavropol carries one more heavenly object — a meteorite which has fallen on March, 24th, 1857 on farm Shvedino of village Peter the Stavropol province. The witness of falling (the rare case) became peasant Maxim Kalashnikov. It has informed scientists, that « the crash was suddenly distributed..."
"Interfax Russia - ‎2009年8月24 Krasnodar. The ¿¡ÔÑÓõá¬ß-SOUTH - the Kilogram meteorite which was found on the country site by inhabitant Adygejska (Republic Adygea), represents serious interest for a science, the employee of an astrophysical observatory of the Kuban state university Alexander Ivanov considers. " At present..."
Une météorite découverte en ville haute ? L'Aisne Nouvelle vous l'a révélé dans sa précédente édition : dans la nuit de samedi à dimanche, trois personnes dont le président de l'association lilloise, ont constaté depuis l'observatoire astronomique de Lille le passage d'une météorite dans le Nord de la France. A Bohain, un couple a vu dans le ciel « comme une étoile filante bleu vert ». A fiery meteor blazed a trail through the skies this morning, with sightings reported from Christchurch to Rotorua. Did you see the meteor? Did you take a photograph? Email newstips@stuff.co.nz. Zoe Battersby was out for an early walk along Jimmy Amers beach in Kaikoura at around 6.10am when she noticed a "very large meteor". "It was very bright - the size of a streetlight. It looked like it fell into the sea," she said. Alan Gilmore, resident superintendent of the University of Canterbury Mt John Observatory said meteors enter the atmosphere over New Zealand "several times a year" but he doubted that the rock made it to the ground or water level. “This meteor is very typical, and often they burn up at about 70kms up. It’s very rare for them to actually land. They are coming into a thicker atmosphere, travelling at 30km a second. The friction is strong and they slow up and start to break up. It’s like throwing a stone at a concrete path,” he said. 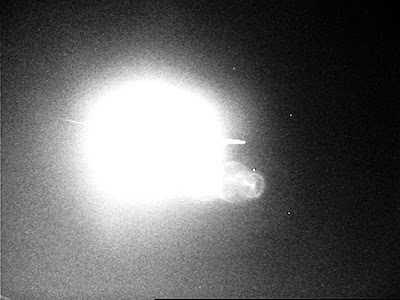 Gilmore said as the meteor breaks up, witnesses often see a bright flash known as a 'terminal fireball'. He said meteors "burning up coming through air - white hot with friction - start to glow". Meteors could be seen from as far as 100kms up and could be seen from almost 1000kms away. "They are spectacular, often a bright white centre which is the actual rock, - a tiny, brilliant star - with a teardrop-shaped glow that’s brilliant emerald green caused by the oxygen and the radiation coming off the rock," he said. Gilmore said on the rare occasion that a meteor lands - then becoming known as a meteorite - its arrival is often heralded with a sonic boom caused by the temperature layers that exist closer to the surface, below 60kms. Because of the range of reported sightings, Gilmore expected the meteor entered the atmosphere somewhere over the North Island. "The impression of closeness is deceptive. 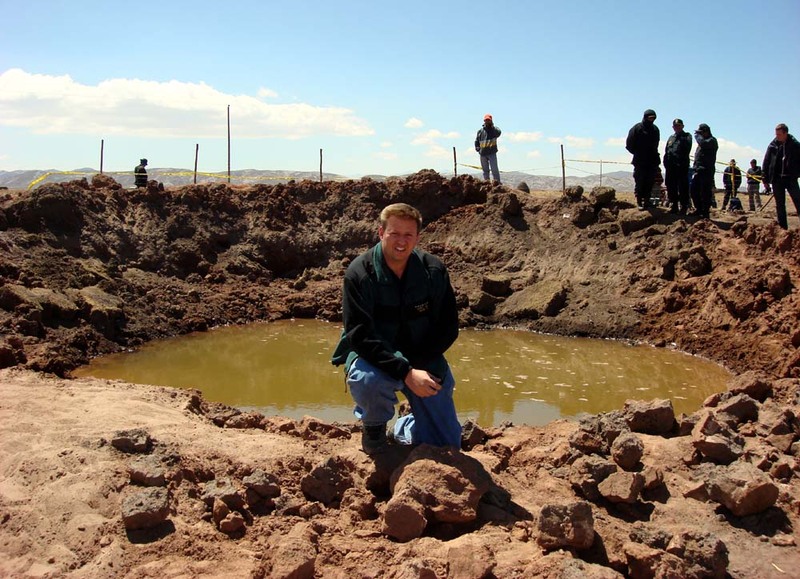 Because they are bright, people think [the meteorite] landed a couple of paddocks away." Submitted by Paolo Gallo, M.V. Posted by Lunar Meteorite * Hunter at 2:11 pm Labels: New Zealand meteor 28AUG09, Paolo Gallo M.V. Fri, 28 Aug 2009 11:01a.m. 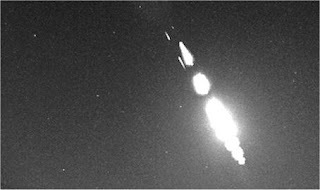 If you thought you were experiencing a Close Encounters moment this morning, the bright light in the sky was not aliens - it was a meteor entering the Earth's atmosphere. AMSTERDAM – It's not green cheese, but it might as well be. Big fireball at 015918 UT, 19JUL09. 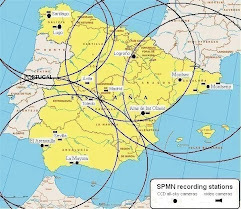 This event has was observed in all N-Italy, and in Switzerland and France. Thank you Stomeo! Great Photo. This meteorite fell on June 23, 2009 at ~11 pm in southern Arizona. A large fireball was seen from the Mexican border to central Arizona. A friend of mine found pieces less than 48 hours after the fall, so I rushed home from Germany to search. After two weeks, I finally found one of the best stones, a 130 gram flight-oriented specimen covered in flow lines. To date we have found a total of 16 stones weighing a total of 2.5 kilograms. It looks like the dog Hopper now has got a competitor, living in southern Sweden! Her name is Molly. According to the newspaper Sydsvenska Dagbladet, a meteorite fell down in front of a group of children (and the dog Molly) last week, just outside the small village St.Olof, situated in the Swedish provice of Scania, about 100 km east of Copenhagen. I have tried to translate the text content to English. The children Villmaron Andreas son 9, Linn-Klara Andreas daughter 7, Ebba Larsson 8, and Vinga Andreas daughter 11, were out and went with the family dogs into the grove behind Sankt Olof (in the province of Scania, southernmost Sweden). They heard a sound, "schwissssss", said Villmaron and shows with his arms how fast the stone damp down, just a few meters in front of them. When the stone hit the ground, dust and smoke swirled up. Villmaron first thought it was a branch that had fallen down, but the dog Molly, first got very scared, finally took courage, and sniffed her way to the stone, situated in a hole a few inches down. It was Molly who found it! The stone is very black and full of holes. Looks like it was burnt of fire, says Villmaron. It almost looks like a piece of petrified lava says Villmarons father Andreas Johansson. The children immediately took the stone with them and run home. They were very excited, says their mother Maja Larsson. They talked in mouth of each other and told their parents that the rock fell from the sky with a high velocity and how the gravel had whirled up and how scared the dog had been. Then the kids run on to Grandma and Grandpa living in the same village, in order to show them the stone too. When the children had left, their mother Maja started to brood. "First after a while it went up for me how lucky the children had been. Imagine if anybody of them had been hit by the stone? It could have gone really bad". The first I found out to do was to call Ystads Allehanda (a local newspaper) says Maja laughing. Is it really a meteorite? Well the family is convinced that it is! At the official web site of the National Museum of Natural History in Stockholm, we learn that a meteorite will be magnetic. Maja ties a refrigerator magnet to a sewing thread and holds the magnet next to the stone. The magnet attracts directly to the stone. 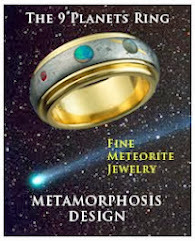 The shape and colour also corresponds to the description of a meteorite at the National Museum web site. Can it be of any worth wonder Maja tactfully? But she rapidly concludes that this issue is not important. The stone will be framed and hanged up on the wall, as a memory of an exceptionally event. First the stone will be sent to the Swedish Museum of Natural History for identification. If it's turns up to is genuine meteorite the story will be even better! The picture of the stone makes me a little bit suspicious. Has some similarities to a piece of slag. 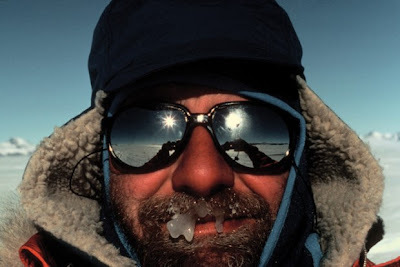 LunarMeteorite*Hunter- Thank you Thomas for your kind report!! Looks like another G Lindfors in Swedish Meteorite History story. This is at least the third or fourth meteorite fable of the year; Hopper, German School Boy, English Chickens Boy, and now Molly of Sweden. JOHNSTOWN – A piece of the Johnstown Meteorite has again landed in Johnstown. A small part of the rock from space that fell July 6, 1924, was presented to the Johnstown Historical Society Tuesday night by its owner, Misty McNally. McNally, a former Johnstown resident who now lives in Kansas City, had the fragment of the meteorite sent to town via the postal service. She marked the package “fragile” and so ensured the meteorite’s second landing was softer than the first. 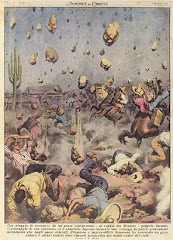 The 1924 landing startled folks from Johnstown to Mead, as pieces large and small rained upon the area that Sunday afternoon. 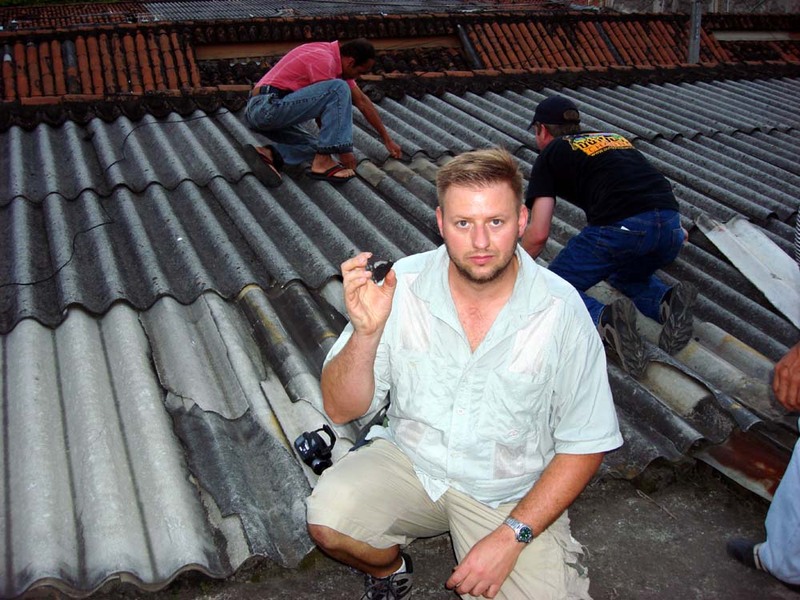 Small fragments hit roofs like hail, but it was one large chunk that made history. It landed by the entrance of the local cemetery and interrupted the funeral of John Moore. Startled funeral go-ers grabbed the shovel intended to fill in Moore’s grave and ran to unearth the smoldering piece which smashed nearby. The fact the fall was witnessed by so many and the pieces recovered immediately is a rarity even now. But it was considered as amazing then, and tiny Johnstown became famous overnight. The meteorite itself is a rare type, an igneous cement-looking rock which has fooled seekers for years. Jack Murphy, an expert on meteorites who retired a few years ago after 35 years at the Denver Museum of Nature and Science, told the story of the meteorite Tuesday night. He also told several people who brought pieces of what they hoped were the meteorite they did not have a part of the celebrity rock. One who did, however, told her meteorite story. Sandy Wiest Lebsack showed her piece, nicknamed “Chip,” to the group and told how her grandfather, Peter Wiest, kept it for years and passed it to her. That has been the only local documented fragment in this area of the 28 confirmed pieces recovered, said Murphy. The largest piece was sold after its fall to the Denver museum and then to the American Museum in New York, where it is still. But now McNally's gift to the museum can be added to the list of documented fragments and a piece of local history has again come home. Murphy had a gift for the museum too. He presented a copy of the front page of the Denver Post in July 1924 with the picture of a little girl and recovered pieces of the Johnstown meteorite. That little girl, “little Miss Beth Bailey,” as the article states, is Murphy’s mother. Her father worked at the museum, and she was there when the specimens were brought out to show the press. Therefore, she was added to the photo with the space rocks; rocks her son has spent years researching. The piece of the meteorite and the front-page picture will be added to the display at the museum telling about Johnstown’s visitor from space. Editor’s note: According to a story published about a year ago in The Johnstown Breeze, it was reported a 29th piece of the Johnstown Meteorite had been found by a Johnstown resident. After the story was published, the sample was examined by Murphy, who has said he does not believe it is a piece of the meteorite. that are parallel to its margins." answered a piece to the puzzle - how big were the first planetesimals? asteroid stage and become planets. disk should have acted like a brake, slowing their velocity appreciably. up there in space. Honest, ask any astronomer. So what happened? Evidence is now mounting that these small space rocks quickly "jumped"
(or grew) in size from below one meter to multi-kilometer in size. appreciably altered. Hence they did not spiral into the sun. authors conclude that asteroids must have been born big.